It has been 8 years since the great Taiwanese filmmaker Hou Hsiao-hsien’s last feature (the Paris-set Flight of the Red Balloon, starring Juliette Binoche), but The Assassin shows no lessening of his formidable artistic grip. In its patient long takes, impeccable mise-en-scène and sound design, and focus on history and morality, it looks and feels like a Hou film through and through. For that reason, those who go into The Assassin expecting an action blow-out will no doubt be sorely disappointed; overall, there’s only about 5 minutes of the expected wuxia swordplay and hand-to-hand combat. But for those in tune with Hou’s formalist style and thematic concerns over the span of his long and distinguished career, there is much to contemplate even as one finds oneself gasping in awe at the beauty of his images. On the eve of the U.S. release of The Assassin, Hou sat down briefly with Movie Mezzanine to discuss, among other subjects, the film’s origins, its cultural influences, and some complications of its making. You’ve dealt with Taiwanese history in many of your previous films, so I’m curious as to why, only now, you finally decided to make a wuxia film. Wuxia was my favorite genre of novels growing up. When I was in fifth or sixth grade, my brother and I would go to different street vendors to get the latest martial-arts novels and then we would read them, volume by volume, and then we pretty much ran out of things to read. And later on,[…]I started to go back to history to read historical novels, legends, and tales. That was later on, maybe in college. The other major influence, other than novels, were definitely films, especially martial-arts films. And actually, I have a lot of appreciation for Japanese samurai films. For me, the reason why I was especially touched and moved by this particular type of martial-arts film, unlike the Chinese one, is [that] their level of energy is very different from the Chinese martial-arts films. If you think about the history of weaponry, for example: A lot of what you have seen from Chinese martial-arts films no longer exists, and very few people actually still practice with them. Whereas, with Japanese samurai films, those types of weapons and practices are still very much part of the culture today. So I see the Japanese samurai film as a greater influence on my style, and a lot of choices I made for this particular film are because of that type of realistic depiction of human energies and how they can actually showcase those energies and those realistic movements in films rather than the Chinese ways of defying gravity, flying around in the air. Any particular samurai film or director you were thinking of while making The Assassin? The number-one principle that I wanted to adhere to was that I was not going to do anything that defied gravity, that defied human capacity. […]And the reason why I think that I didn’t really try to imitate or emulate certain samurai films is because the weapons involved in this film are very, very different. So for me. the most important thing was: How can I capture a realistic fight sequence with fast bursts of movement rather than this long dragged-out choreography? [Because] that’s not how people fight. You need to have that sense of ruthless fierceness without any mercy in order for you to somehow create a realistic fight scene. I do think that a lot of Chinese martial-arts films in the past tend to be, for lack of a better word, [very maximalist]. For me, I wanted to go by the idea of minimalism and try to somehow capture the realistic essence of action sequences. […]I remember this [one] particular film I saw [in which] this particular female sword person jumped up into the air, took off her overcoat, and then, while she was descending, somehow defeated the enemy and, before she landed, still had time to put that coat back on while she landed. To me, this is so unrealistic and too fantastical for my taste, and that’s not something I wanted to do. I’ve heard that you usually don’t rehearse before you turn on the camera. Did that extend to the fight scenes in The Assassin, though? Because those surely requires a lot of planning. How much of that spontaneity did you allow even with the movements of these characters in the fight scenes? It would be impossible to shoot any of those sequences without any rehearsal or any choreography, since none of the lead actors and actresses are actually trained martial artists. Therefore, it is very important for them to actually rehearse and get trained. One of the biggest challenges I had for them was not only the body movements, but also the facial expressions that they have. 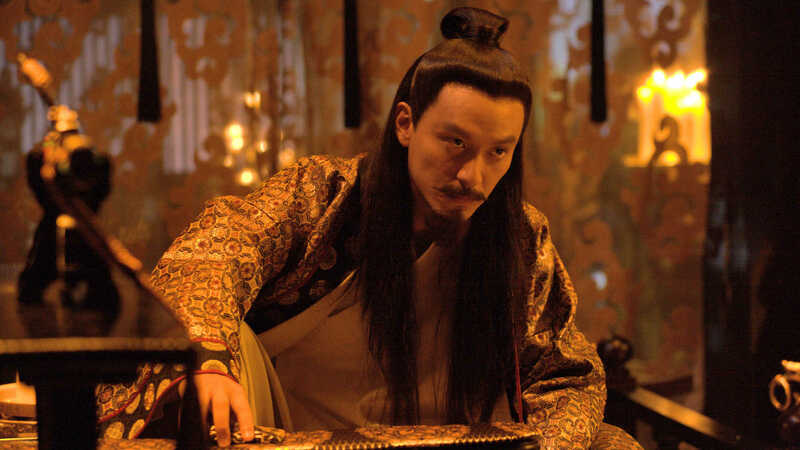 Usually, you will have certain natural reactions as a human…[but] that’s something I don’t think would be suitable for the characters [in The Assassin], because in order for them to be assassins or generals, [they need to] be very calm and composed. That was one of the biggest challenges: How can they fight with those calm and composed facial expressions that I wanted them to have? So in order for me to, facial expression-wise and body movement-wise, accomplish what I wanted them to have, I needed to somehow separate the fight sequences into small fragments, and…for each small fragment, I would ask them to train to a point that they will be very familiar with the choreography and with the movements, and then they can do it in small doses, bit by bit. How did you come across this particular story and character? What so fascinated you about this character that you felt a need to adapt this particular story? First and foremost, the name of this particular novel, Niè Yǐnníang. The last name [“Niè”] is made up of three radicals symbolizing ears, so she’s all ears. And then “Yǐn” means hidden, and of course “níang” will be a female person. So for me, there’s already so much drama packed in the name of this particular character. And I think this story of how she became an assassin— because this particular nun saw her potential[…]and then outright said to her father that, even if you were going to hide her in a closet, I’m going to take her away and train her to be an assassin, which is what eventually happened. So I do think that, for someone like her being picked out by the nuns and trained to be an assassin, that’s such an interesting story. And not only that: After she completed her training, she was successful for her first assassination, and then for the second one, she decided not to, because there was a child involved. So for me, not only the name itself, but also the storyline and how it unfold really attracted me to want to make this particular film. And I only selected these major points and themes[…]from the original novels, and I just pretty much used my imagination [for the rest]. 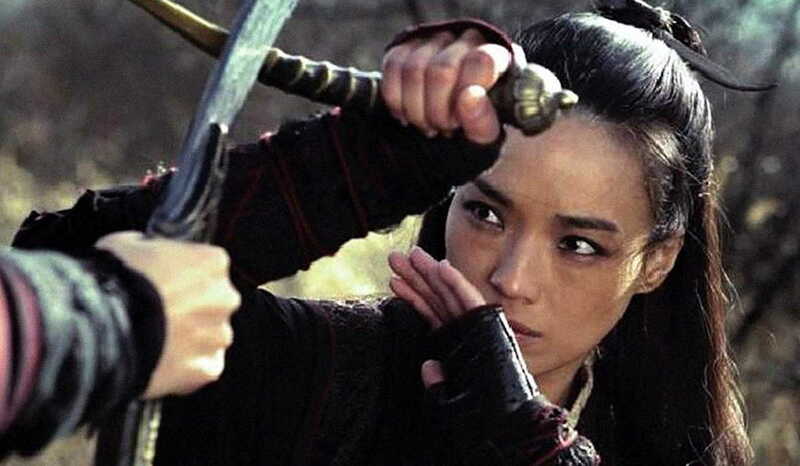 Now, in terms of the idea of this last name, the three ear radicals: At first when I designed this character for Shu Qi, she was supposed to be this assassin only using auditory/sensory channels for her to identify when and where she wants to swoop down and put up her hit and then immediately leave the scene. I tried to do that at first with Shu, but[…]later I found out that [she] actually had vertigo, and that she’s really, really scared of heights, and [that] every time, when she closed her eyes and jumped down, she would always scream. So we had to somehow bend an idea and find a different way to create this character.